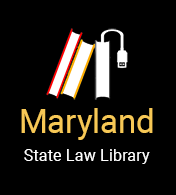 Maryland Legal Aid is a private, non-profit law firm that provides free, civil legal services to low-income people in Baltimore City and Maryland's 23 counties from 12 offices and four District Court Self-Help Resource Centers. The firm handles cases involving a wide range of issues, including family, housing, government benefits, healthcare, education, employment, and consumer law. Maryland Legal Aid also represents children in CINA (Child in Need of Assistance) proceedings in 12 Maryland jurisdictions. Other vulnerable populations, such as homeowners facing foreclosure, migrant and seasonal farm workers, nursing home and assisted living residents, and veterans seeking benefits and assistance with related legal issues also receive representation through special projects. In addition, Maryland Legal Aid assists with expunging criminal records to remove barriers to obtaining housing, employment, and child custody.